What do the lights on my Fixed Wireless nbn™ Connection Box mean? The lights on your nbn NTD provide information about the status of your connection. Do I need to have a home phone service when I’m connected to the nbn™ network? 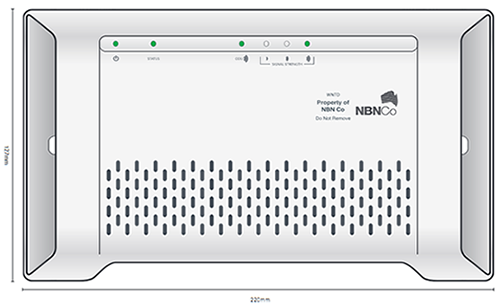 How do I set up my devices on nbn™ Fixed Wireless? Will all my devices work on the nbn™ network? Can I have my phone and internet with different providers on the nbn™ network? Can I change my nbn™ technology to Fibre to the Premises?